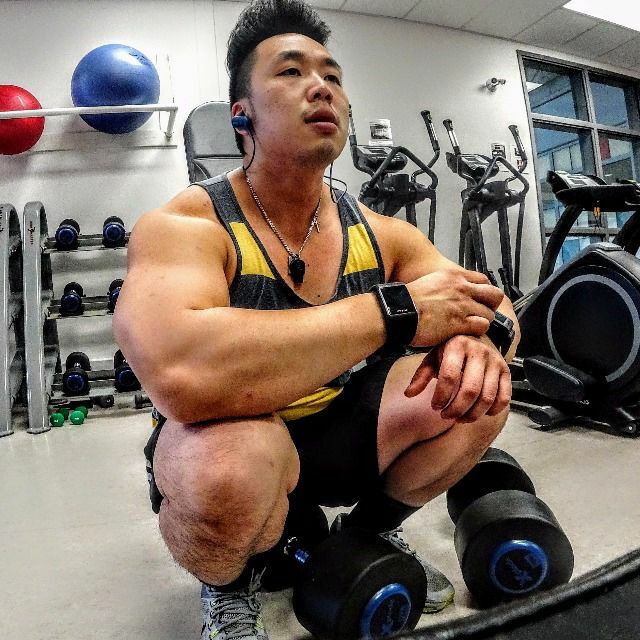 So this post is basically all gains- the otehr day I managed to finally beat the 110lb dumbbell flat bench press- did 4 sets of 8 reps and felt very very solid – the last time I did this was in 2009 when I made my comeback from a broken hand and nailed the 100lb dumbbell press for something like 12 sets of 8 but could not do one rep at 110lbs- normally I go up by 5 lbs for gains but after 100lbs it goes up by 10lbs. Anyways, I contribute a huge part of this for all my focus on back development- I had not touched this at all when I was in 2009, but in the last 3 years I have been hitting back hard. Feeling great about my back for sure. This is the worrying part- will I be able to get it back up? While a fail can just mean I drop the weights, at this weight class, that can really wrench your arm in a terrible way, so it can be unnerving to do bnech with new weight classes you are not familiar with. However, I felt super pumped this night and really wanted to push hard- I had been doing the same weights for ages (7 years since 2009!) so I figured I should be there. Dropped down to 100lbs and immediately felt relief – still solid. 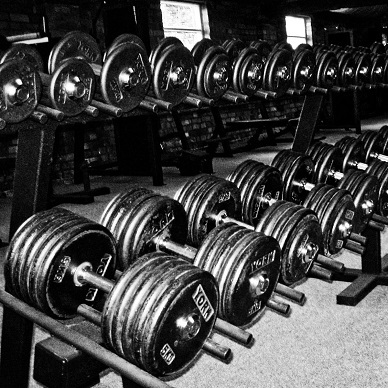 Hate that I can’t use the 10lb weights but there just iis not enough room for that many plates on the bar, so have to use 20 and 25lb weights. Then I felt good about this and charged hard to try the 10 setting for speed – did it for 1 minute at the end of my run and felt like I was going to fly off the treadmill in a bad way. Baby has really messed up my sleep- I’m here inthe gym at 3:30 am hitting the treadmill cause I slept at 6:30 pm, woke up at 11pm, couldn’t sleep, hit the gym and went back to sleep around 4am, and backa t work for 8 am. Gross. Work retreat- full breakfast – SUPER awesome. Lunch was ok- definitely liked the simpler breakfast foods but still solid. Speeches and SYNERGY! Had a really good retreat with my team and a good break from clinical practice, if for a tiny bit. So this happened- my favorite store in Kingsway, Sony, has now become a tights/leggings store. Wow. I can still see all the products in each case and I feel very sad seeing leggings instead. Hitting up Japanese for lunch. Had the chef special which is usually a nice surprise of the day’s freshest stuff. THIS WAS HORRID. Red snapper is now my all time worst fish alive, including the parasitic one that swims into urethras in the Amazon. This tastes SO FISHY I could not stand it. Not even a bite. The dark part? That is PUIRE OCEAN. So so so gag inducing for me. Instead of adding lemon to tone it down, it probably needs kerosene. Ikea dinner with fam- the new potatoes are really weird- I suspect they are mashed potatoes formed into balls because they taste like fake potatoes. Take out at Kingsway- of course tons of food from Jimmy the Greek, and a weird General Tso beef dish from Thai Express I won’t order again. Out for a run and brought the Action Cam. Stairs. 5 sets today including the beast stairs at the Royal Glenora. Feeling really really tired and cramped. And cold. It was really really warm initially in the run. There were plenty of people out today. Enjoying the winter sun- going to be plus 15 degrees. Then it got really really cold near the glenora stairs. And it got plain awful. I made the mistake of going for a second set of the beast instead of running home- what that meant is that I was absolutely spent and still had to walk home. One thing I love about the beast stairs is that there are tons of other runners there to push you- everyone is going hard, so you better too. Looking forward to hot summer days here.